The only public service building designed by Frank Lloyd Wright's prairie period still remaining, Unity Temple is made of reinforced concrete. 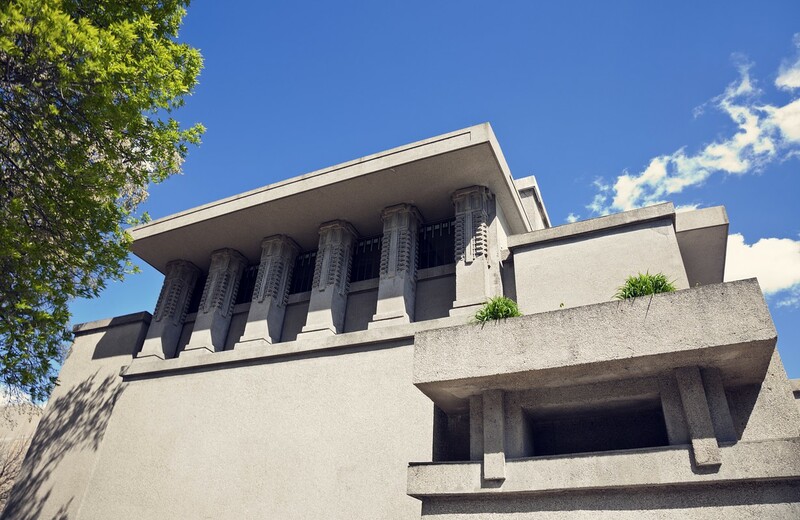 There are two separates parts to the building: the Unity Temple, for worship, made of high, skylit spaces, and Unity House, an are for congregation social gatherings that is connected by an entry-level foyer. Of the temple, Wright said: "Unity Temple makes an entirely new architecture — and is the first expression of it. That is my contribution to modern architecture". Advanced tickets are recommended.